Thought I would add a couple pictures of my current tank. 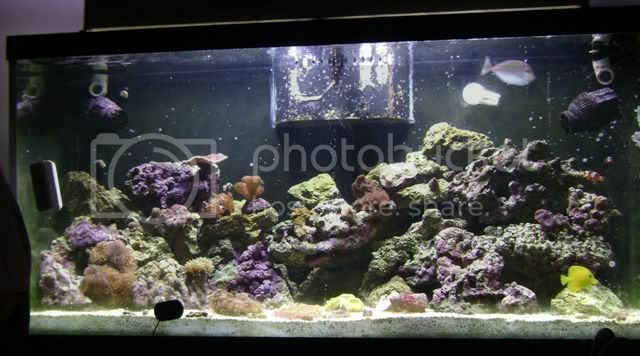 This is a 90g that I set up last November. 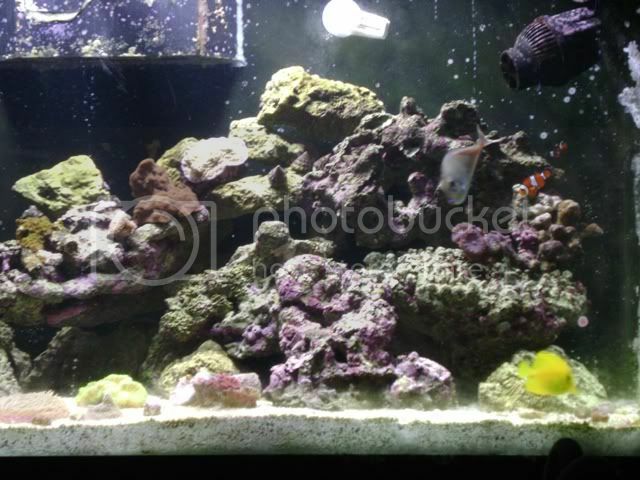 Currently there is a vlamingi tang, yellow tang, two clowns, flame hawk and orchid dottyback. We see the latter two occasionally. They spend a lot of time in the rock. The vlamingi will go to the 180 once it is completed. I expect in time I will have to find someone with a much large tank for him. I did not research him before I got him. 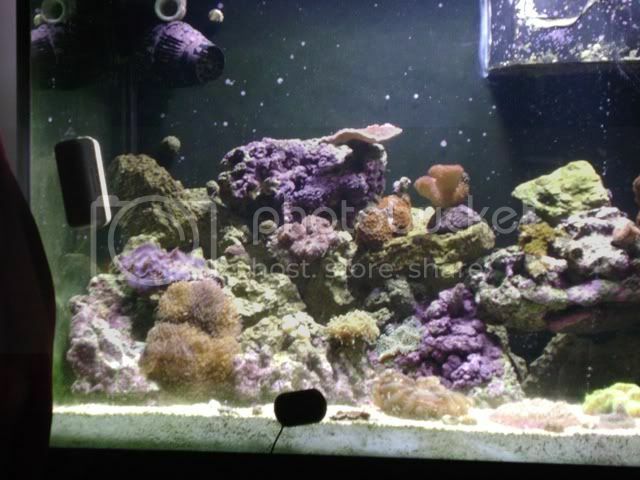 I can't get close ups with the camera I have, so can't get decent pictures of corals. I have a number of different mushrooms, including blue, lavender hairy and brown blue. I have a couple of Monti caps, couple acros, bought brown but one is turning purple and the other reddish. I also have a few LPS, including cany cane, blastos, frogspawn, echino and acan. Finally there are a couple different zoos. thanks for posting and keep us updated please.